The Other Side of the Couch – Does Marching Matter? Since that march, other events have taken place, including town hall meetings with legislators, such as the one held on February 21, 2017 with Congresswoman Marsha Blackburn (R). The question for me is this: Does any of this matter? Can protests cause political change, or are they merely symptoms of underlying shifts in policy preferences? We address this question by studying the Tea Party movement in the United States, which rose to prominence through coordinated rallies across the country on Tax Day, April 15, 2009. We exploit variation in rainfall on the day of these rallies as an exogenous source of variation in attendance. We show that good weather at this initial, coordinating event had significant consequences for the subsequent local strength of the movement, increased public support for Tea Party positions, and led to more Republican votes in the 2010 midterm elections. Policymaking was also affected, as incumbents responded to large protests in their district by voting more conservatively in Congress. Our estimates suggest significant multiplier effects: an additional protester increased the number of Republican votes by a factor well above one. 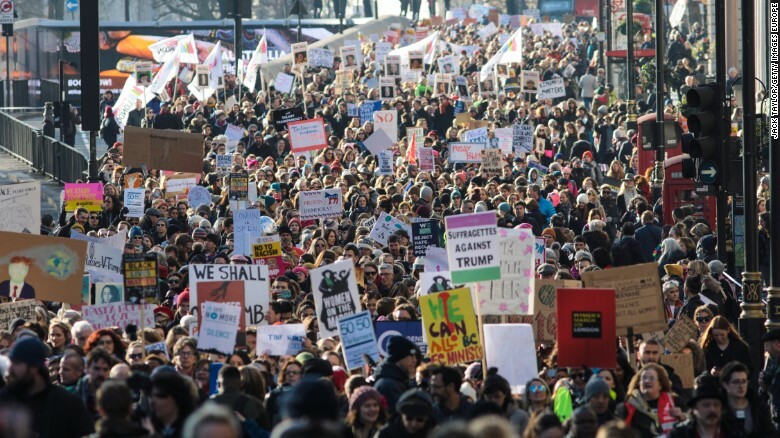 Together our results show that protests can build political movements that ultimately affect policymaking, and that they do so by influencing political views rather than solely through the revelation of existing political preferences. The authors’ analysis shows that protests increased the turnout in the following congressional elections. Thus, protests and marches DO affect legislators and affect turnout. Keep on marching – but don’t forget to do the work of organizing and getting out the vote! Absolutely! Protests without action, such as getting out the vote, would be a waste of time.